Hey Reid! What posting dates are open? Or did I miss it somewhere? If you can make an easy list for people to find that would be cool and I could plug this contest for you next week! I fixed a few things in the post, so hopefully that helps. Basically, it's reciprocal guest blogging. Someone can grab one of my posts and let me use one of his/hers in return. 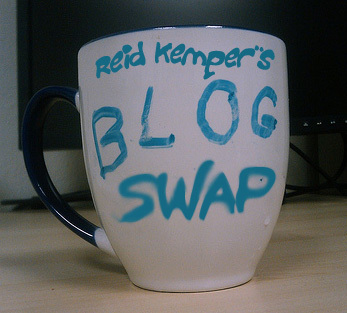 Also, participants can do their own blog swap, in which they offer posts on their blog for others to use as long as the others return the favor. The idea is to spread older or newer posts to other blogs to get the word out (whatever topic that may be). The posting date can be chosen by the swapper on any day in December. I switched to a different link service to make signing up easier. Took me time to read all the comments, but I really enjoyed the article. It proved to be Very helpful to me and I am sure to all the comments here!